For kids, playing time is learning time. What better introduction to the wonderful world of music is there than to have the opportunity to learn an instrument? The piano is the perfect gateway to discovery. Below you’ll find some details about the Group, Private, and Exclusive class offerings we’re thrilled to provide for kids here at Kenya’s Keys. Looking for the perfect set up for a timid child or the social butterfly? Group Music Lessons are an excellent choice! When your child learns with others, they can avoid the feeling of being under the microscope and reap the benefits of positive peer pressure. You’re never too young (or too old) to appreciate the value of music. We’ve set the stage to DISCOVER BY DOING by fusing playing and learning. These carefully crafted classes happily give each child and their adult partner the opportunity to sing, move, and learn beginner music concepts together in a caring setting. KiddyKeys & Company focuses on the development of fine and gross motor skills, positive social skills, and identification of letters, numbers, and colors. After KiddyKeys & Company, kids will move on independently to Kiddy Keys class and then on to group or private piano lessons. Our modern methods ENCOURAGE and INSPIRE your preschooler to learn about the piano and music in ways that best meet their needs, maximizing their ability to understand and enjoy what they’re learning. Our classes are kid-tested and parent-approved, and we have the data to prove our success! 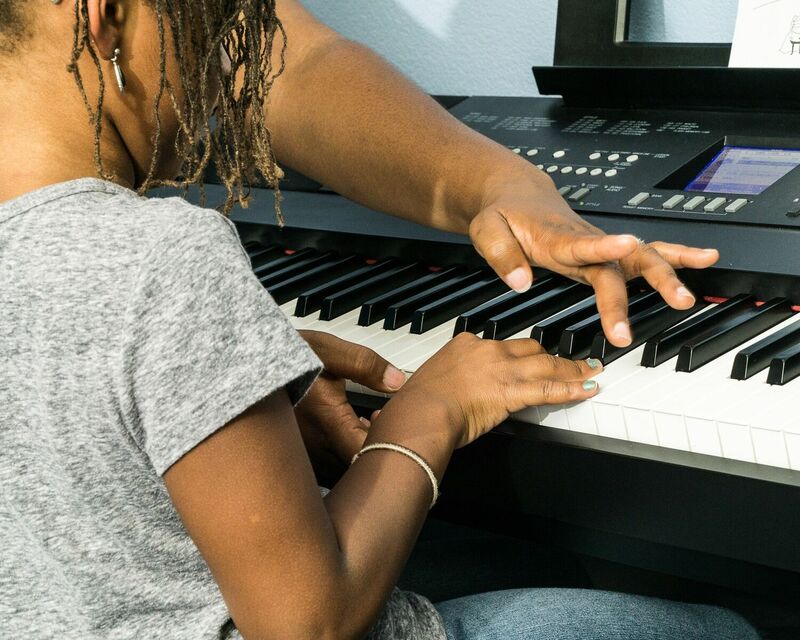 Weekly improvisation on the keyboard, music theory and composition are combined with traditional elements of music and movement, school readiness skills, and character development. In KiddyKeys, your child has so many learning opportunities- all in the name of fun! 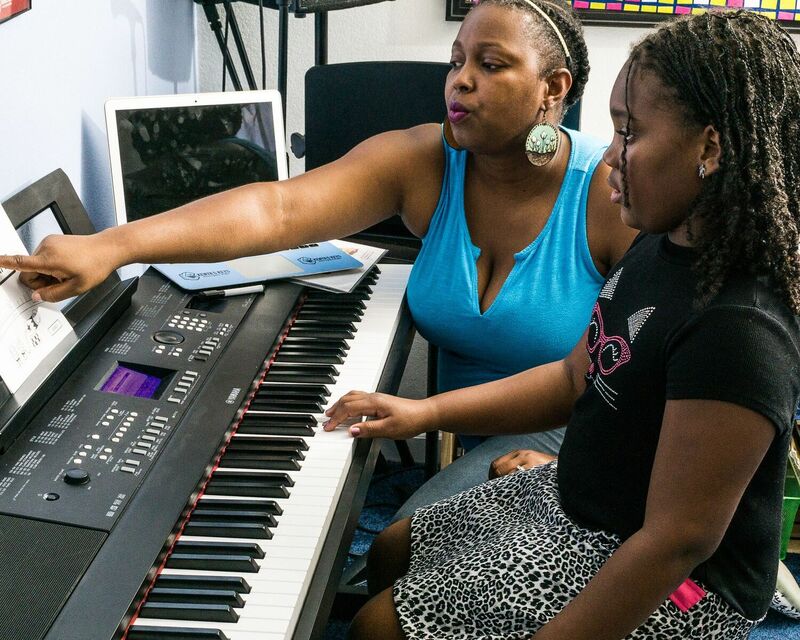 After KiddyKeys, your child will then move on to piano lessons in a private or group setting. KiddyKeys® has been amazing for my son. His self-confidence is built up each week by the passion and compassion of the instructor. Besides teaching early music terms and love for music, the curriculum and instructors carry through life lessons taught at home. KiddyKeys® is a safe and fun environment. Smiles and laughter are so important to capture a child’s attention and both are seen and heard at every drop-off and pick-up. KiddyKeys® is truly one of the best programs that my child has been involved with. Perfectly paired Piano Partners participate in shared lesson time. Over the course of 45 fun-filled minutes, children will experience a semi-private lesson that incorporates hands-on learning activities, games, and innovative technology. Piano Maestro is a required component of this group lesson. We’ve turned the idea of a “typical” music lesson on its head. 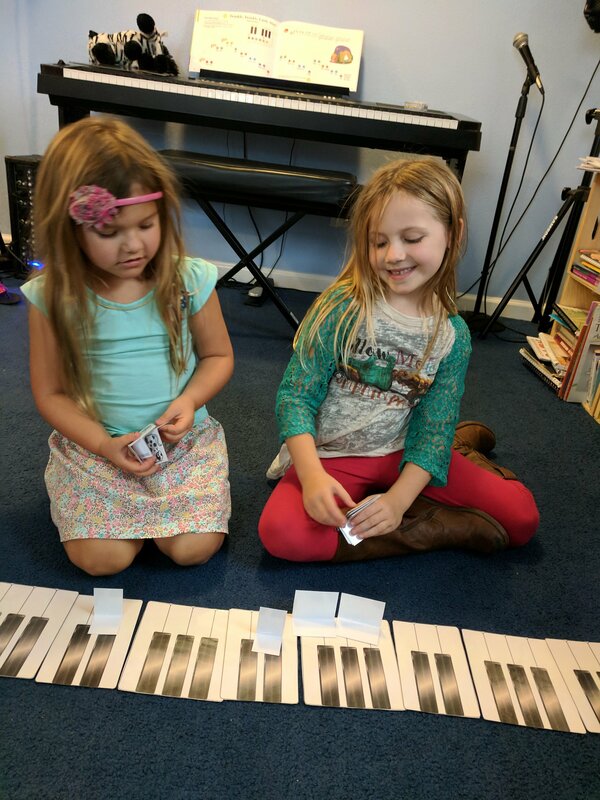 Piano Partner lessons are great for siblings, buddies, and newly matched friends. Are you the parent or grandparent of multiple children like myself? Do you have to take them to fifty different places and feel like your car should come with an Uber sticker for all the driving you do for them? Get your one-stop fix with a rotating lesson. Children spend 60 sensational minutes rotating to different stations. Stations include a group piano lesson, a technology component using Piano Maestro (required class component), a group activity or game, and hands-on or outcome-based learning. Every minute is spent dedicated to a fun age-appropriate music activity for every child. 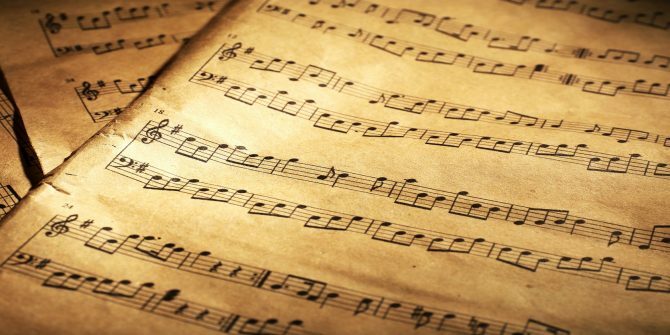 Private Music Lessons provide the flexibility to give assignments based on highly individualized specific skills your child may need to work on. Students move at their own pace and enjoy getting down to the nitty-gritty details of music. Your Melody Maker will safely SEEK ADVENTURE in a supportive and energetic environment. 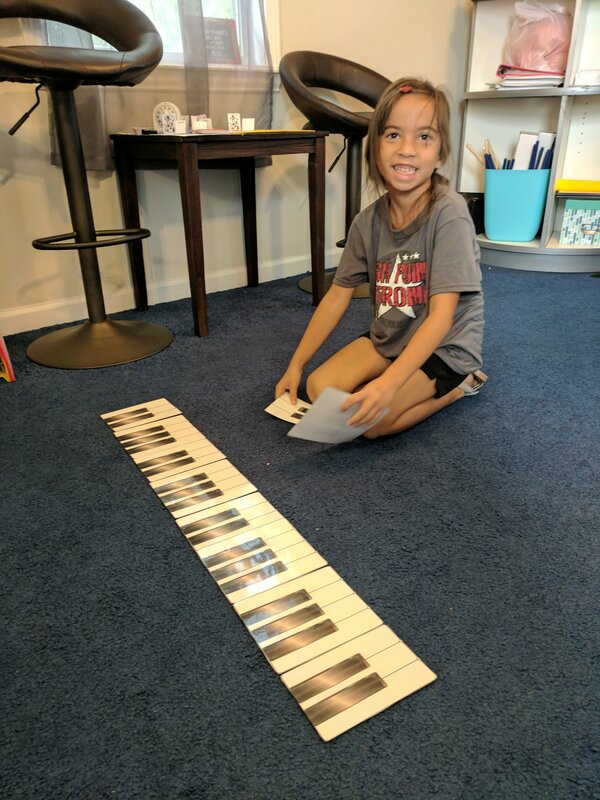 The lesson books, CD, and online audio are fused together to create fun-filled activities, spirited songs, and rhythm games that develop the technique and artistry of the young beginning keyboardist. We will give your child a sound music foundation that helps them learn the absolute music basics, earn success, and grow their musicianship through active play both at and away from the piano. After completing Books A, B, and C, your child will graduate from Melody Maker to Cadence Keepers. With more challenging repertoire, your Cadence Keeper will learn music with engaging songs, build ear and eye-training that CREATIVELY develops their improvisation skills, and grow their physical skills for expressive playing. Musicianship is built through the use of dynamics and colorful experimentation with the pedal. Your child’s efforts are cheered on as they’re introduced to the keyboard, note values, and the grand staff. Upon completion of the Level 5 book, Cadence Keepers are well prepared to advance to the Music Maestro program. Music Maestros will DREAM BOLDLY and receive valuable reinforcement of theory, concepts through writing, sight-reading, and ear training activities. The pacing and appeal of the lesson books are ideal for the middle school beginner and continue the tradition of learning music through discovery, creativity, and adventure. Upon completing this program, your Music Maestro will be able to see and recognize the way music works and uncover the keys to becoming a more successful musician. Her lessons are always fun and she inspires my daughter more with every lesson. I can’t say enough good things about her! Lucky to have found the best teacher around! Our Exclusive offerings make for not your average music lessons! We proudly provide unique and special courses of music study that move beyond piano and voice lessons. Check out our one-of-a-kind classes and enroll your child- or yourself, today! 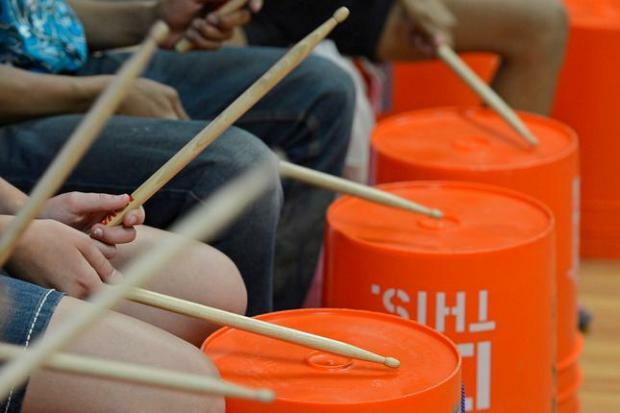 This percussion ensemble takes buckets, bottles, and drumsticks to do a whole lot more than making some noise. We get right to the heart of the mater and use our brains to creatively and musically use the right sounds at the right time while having a good time. How privileged we are to (soon) be able to offer the following courses to help us continue to serve our community through music! Learning to incorporate music technology in our everyday lives is an important pillar in a thorough music education. 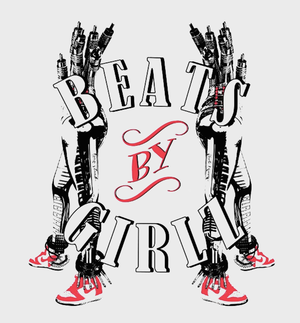 Exploration and creativity are at the forefront in the exclusive BeatsByGirlz camp. Together we work towards building the future of music producers by leading the way for young ladies and women to empower the producer within. 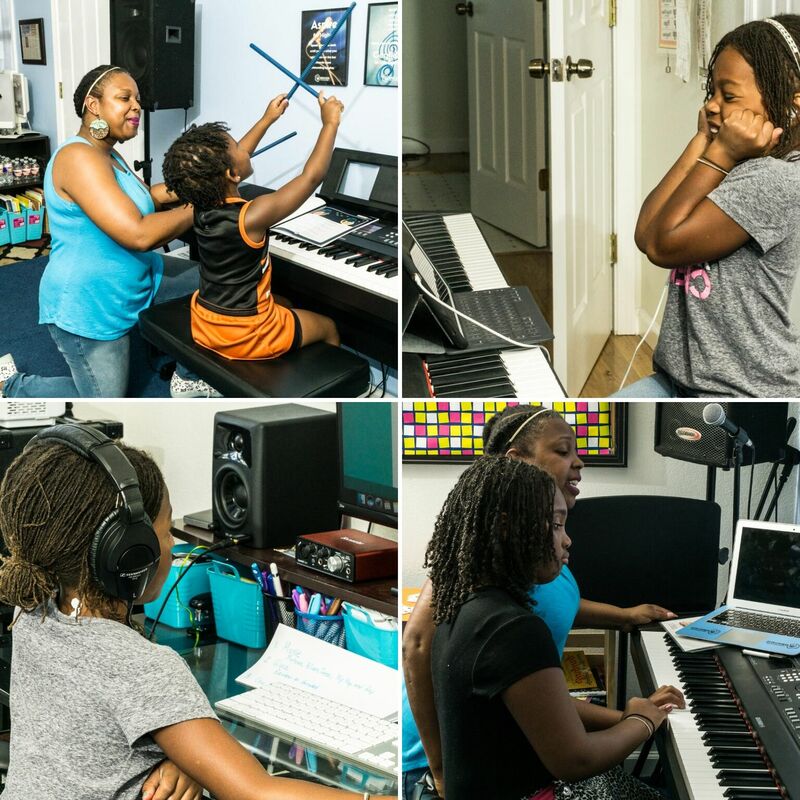 Songwriting for Kids, Songwriting for Teens, and Songwriting for the Digital Musician focused camps that target your skill level right where you are. Start where you are. Use what you have. Do what you can. We’ll teach you all the rest you need to know to grow your talents so you can move those ideas out of your head. Several finished pieces of original music will be written during this course.